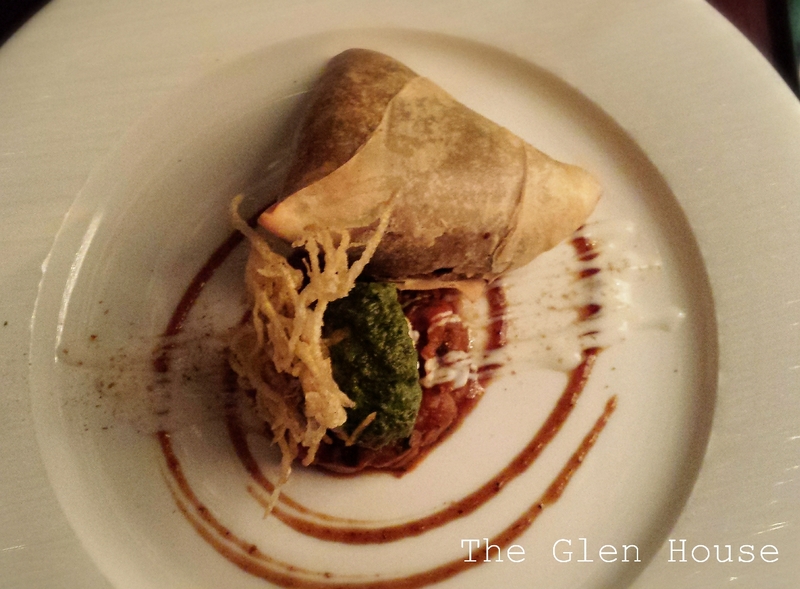 I don’t normally blog on a Sunday and I certainly don’t write restaurant reviews- so what’s going on??? I woke up this morning with a full belly and a happy heart, so I decided that I had to tell you all why…. 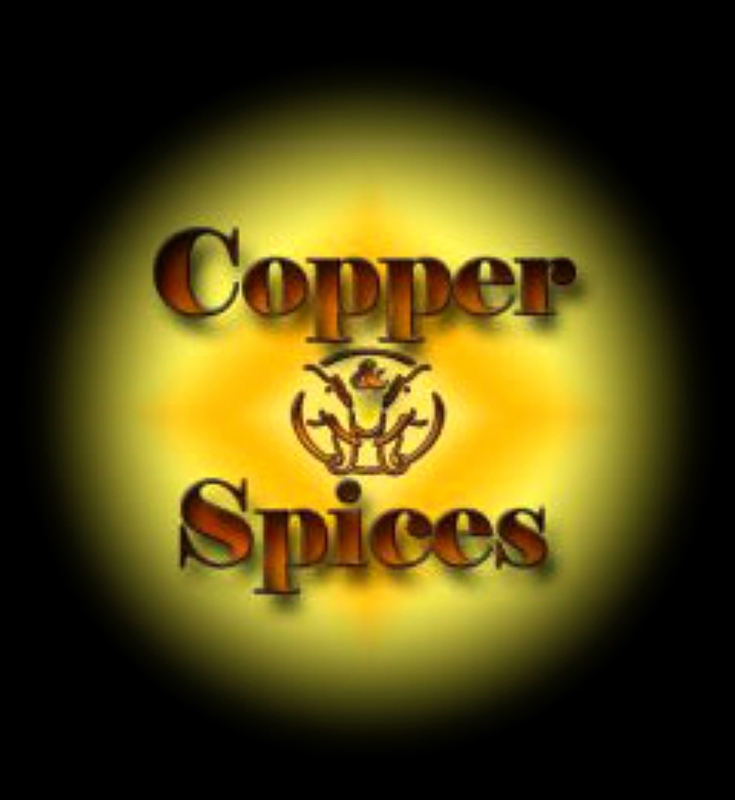 Last night, Dr Doolittle and I went to a ‘south Asian’ restaurant called Copper and Spices in Navan, which is near The Glen House in county Meath. 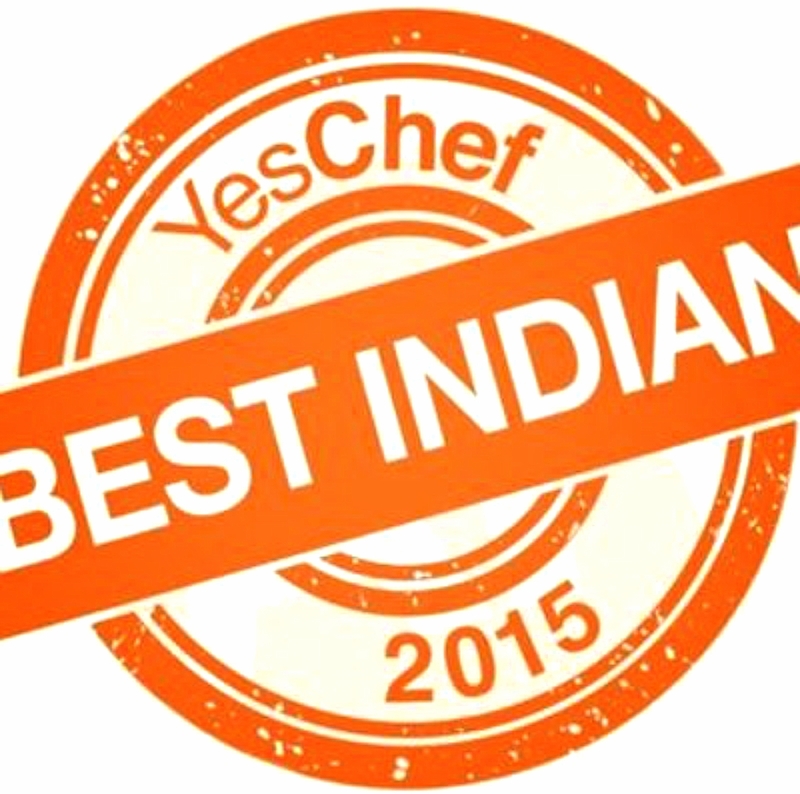 They have recently won the Yes Chef best Indian award. As I hadn’t intended to write a review, I don’t have many photographs but the inside was dark, but warm with beautiful subtle lighting and a wonderful large Buddha canvas. The restaurant was small, but incredibly cosy and inviting, with the mumblings and laughter that you would find at any food gathering in India. We were sat by a window draped with a beautiful Indian fabric glittering in the soft light from the street outside. I felt at home. Our lovely waitress brought a delightful bottle of Sauvignon Blanc and we nibbled on crisp, crunchy broken up poppadoms served in little silver bucket. I loved this! I didn’t need to worry about breaking up the large poppadoms and have them flying across the table! A moreish fresh chilli onion salad and mango chutney accompanied them. I’m gutted I didn’t take a photograph of what came next; a large fresh ‘fluffy’ prawn appeared as a little taster plate, with a fabulous chilli and garlic oil. It looked so pretty- but it was gone in a flash! Exquisite! Next came our starters of fish cakes and samosa. My little potato and pea pastry parcel was crammed full of cashew nuts, raisins, coriander, cumin and chick peas. Samosas have a special place in my heart and I didn’t think it was possible that anyone could make them as well as my Aunty’s do in Goa. However Chef Nitin Gautam and his team certainly surpassed my expectations. Dr Doolitte (the carnivore) couldn’t believe that there wasn’t any meat in it. He was also thrilled with is fish cakes and loved the fresh herbs that were surrounded by all the salmon and cod. 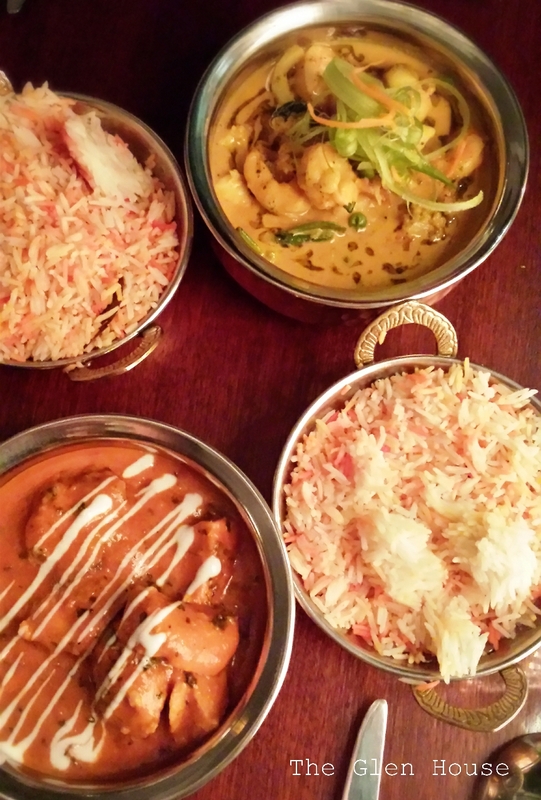 For mains we picked Himalayan Curry which was packed full of tiger prawns, lemongrass, galangal, basil, onions, tomatoes & coconut milk and the Irish favourite Tikka Masala. Look, I had to!! The dishes were presented in beautiful copper dishes alongside balti pans with pilau rice and incredible smelling garlic and coriander naan. My chicken tikka masla was crammed full of succulent chicken pieces smothered in a sweet jaggery based sauce with tomatoes and fenugreek. It was divine! I’ve never seen so much meat (or fish) in a main course, it was very generous indeed. The prawn curry had notes of the Goan food served up by my family, the creamy coconut brought back delightful memories of my Aunty’s crab curry. After a relaxing little pause, we actually managed to eat dessert. I opted for the sticky toffee pudding; yes, I did seem like a bizarre choice in an Indian restaurant, but washing it down with some Masala tea seemed like a good idea. It was! The light fluffy spongy pudding had a hint of spice and banana. Dr Doolittle loved his panna cotta which was presented in a cute little kilner jar. It was a delightful experience and I’m sure we’ll become regular customers! I should point out that I wasn’t paid to write this review, I’m just happy to shout about glorious modern Asian food. I had a major panic attack just over two weeks ago. It’s never happened before, and I hope and pray it never happens again. It was a terrifying experience. 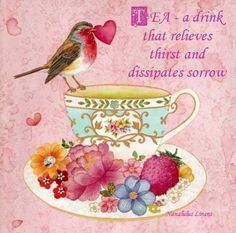 I’m still exhausted from it, but the oddest thing about it is all the tea drinking! 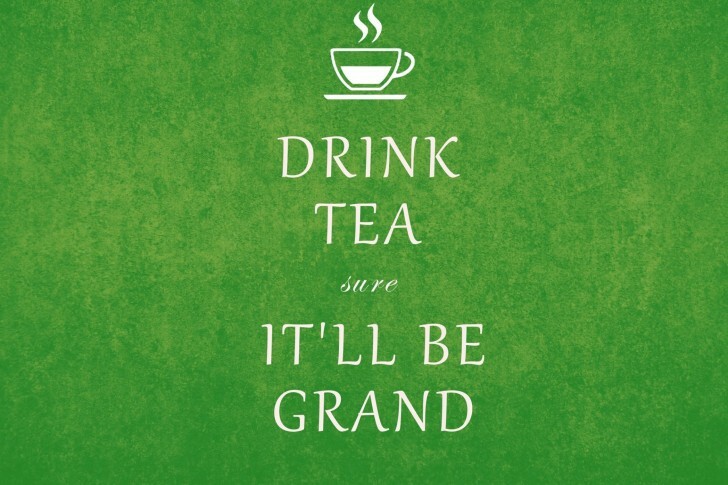 In the immediate aftermath I had sweet, sugary tea thrust into my hand…. Noooo!!! Thankfully, tea was soon swapped for proper medical attention. However in the days after, safely tucked up inside The Glen House “resting” (and when I wasn’t very hungry), I drank gallons of tea. Bog standard old-fashioned tea. Proper tea and milk tea, none of the new age modern fancy stuff! So from Irish builders tea I’ve turned a corner and gone back to the much healthier Masala Chai tea. Ginger quickly warms up the whole body and has antibacterial and antiviral effects. Cloves are an analgesic relieving pain. 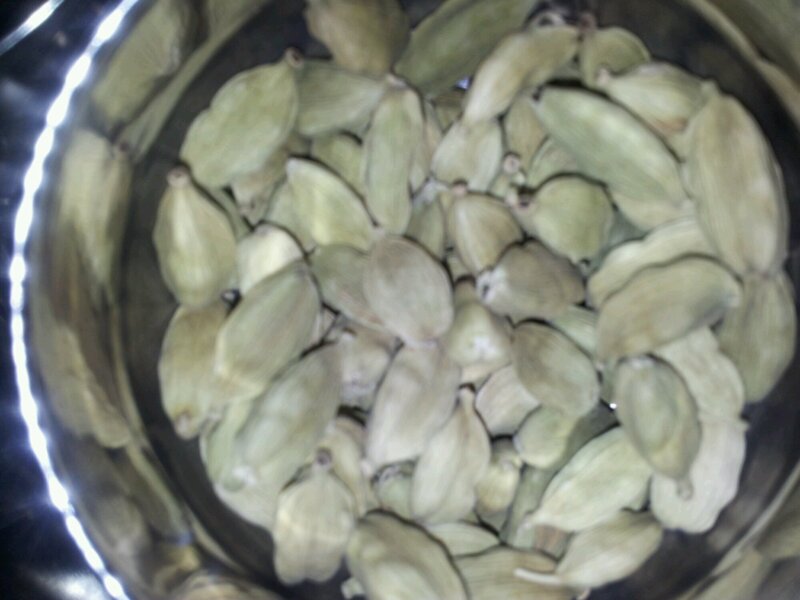 Cardamom helps warm you up. 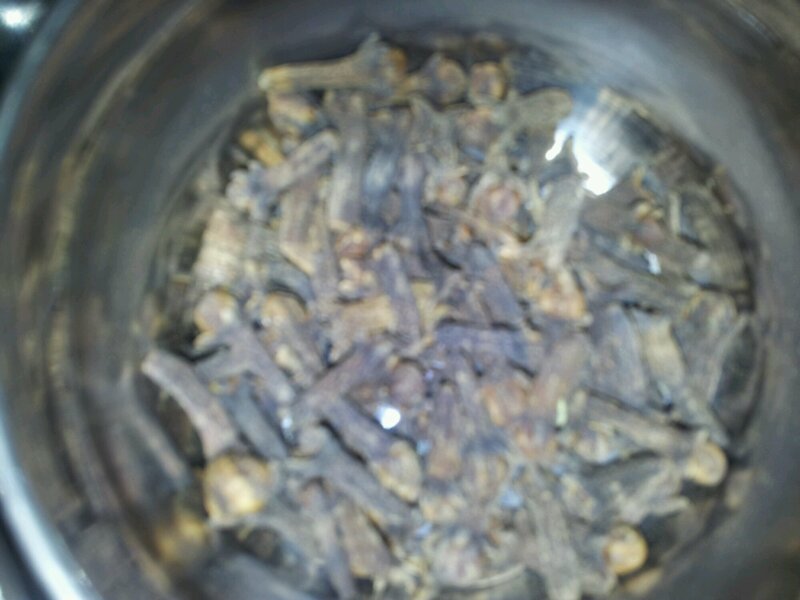 It is beneficial for digestion, respiratory problems and prevents muscle cramps, relieving inflammation. 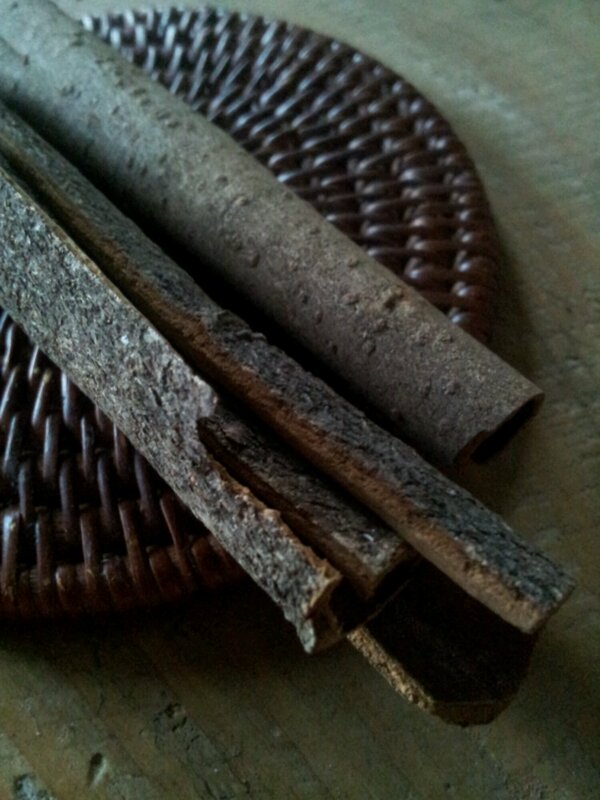 Cinnamon is naturally sweet and is beneficial particularly for flues and colds. It also regulates blood sugar level and blood pressure and helps alleviate digestive problems. 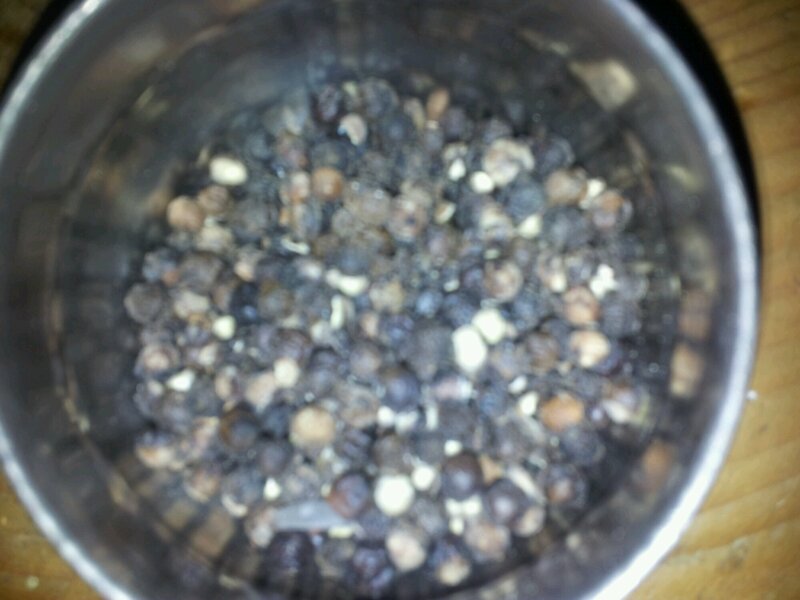 Grind the spices, put into pan with the cinnamon stick and boiling water. Add the tea and let it ‘steep’, but don’t let it continue to boil! Leave it for a couple of minutes. Then add in the milk so that it warms in with the tea, but once again don’t let it boil, just simmer away. 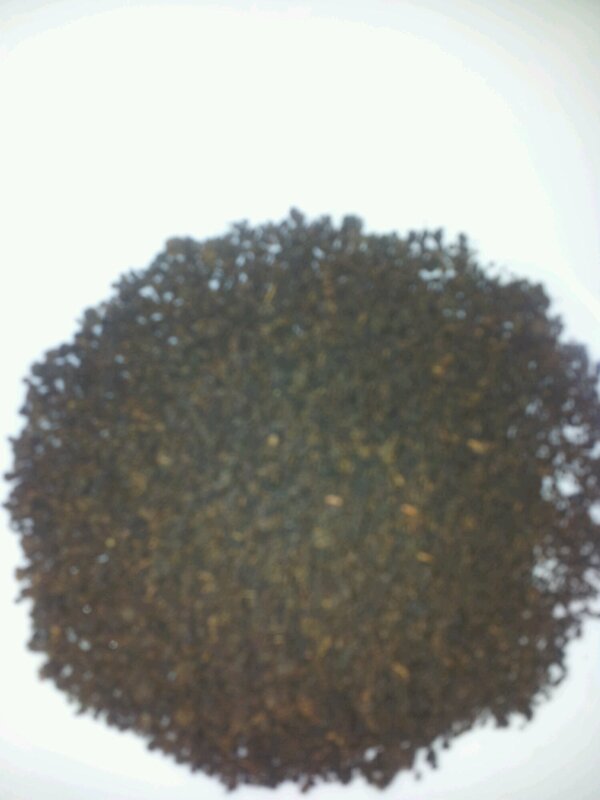 Strain the tea, pour into mug, discarding the spices and sweeten to taste. 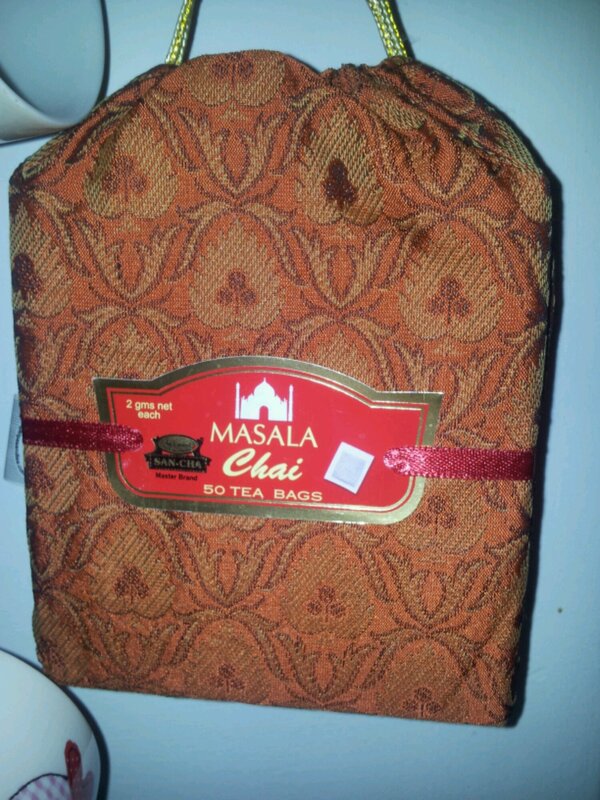 Or you could use an emergency Masala chai tea bag!